When I came home from my trip to Venice I couldn't wait to start baking again. On sunday the house was empty and quiet which means I can bake in peace. 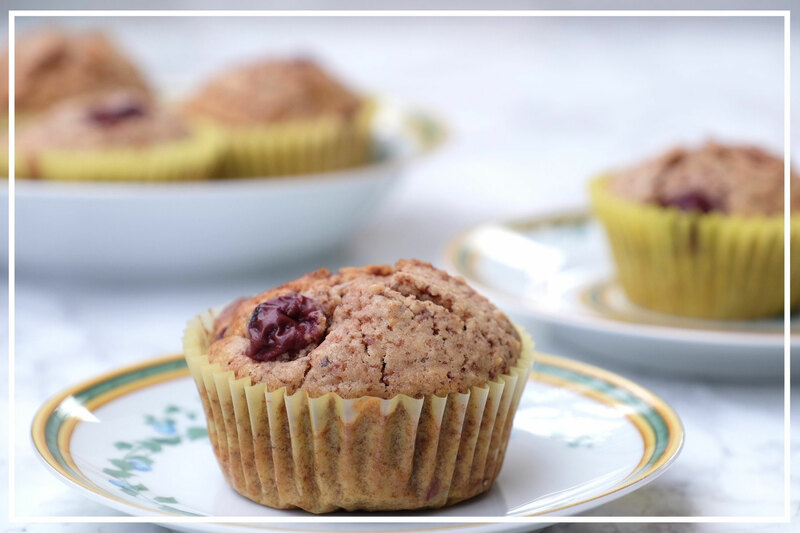 I knew that I wanted to make muffins ahead of time, because I was going to see some friends over the next few days and I feel like muffins are such a great thing to bring over to someone's house. 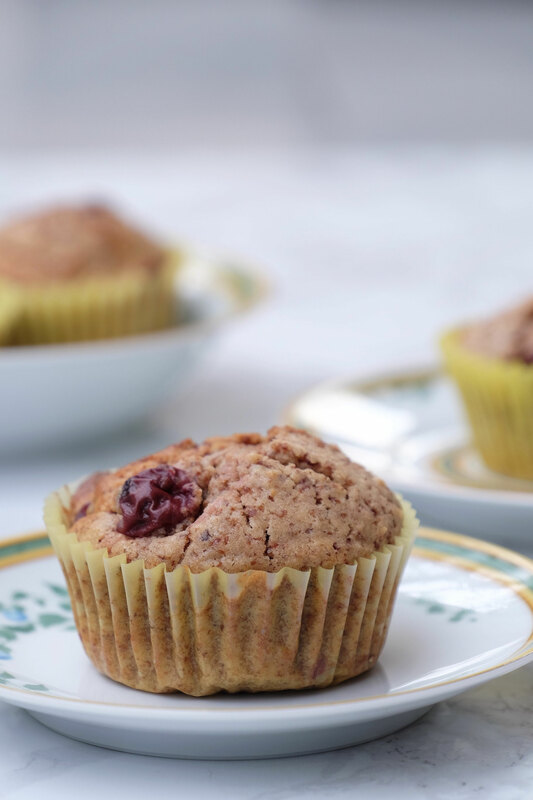 Then I remembered the delicious Hazelnut & Chocolate Muffins I made some time ago, but this time I added a special ingredient to welcome spring: Cherries. 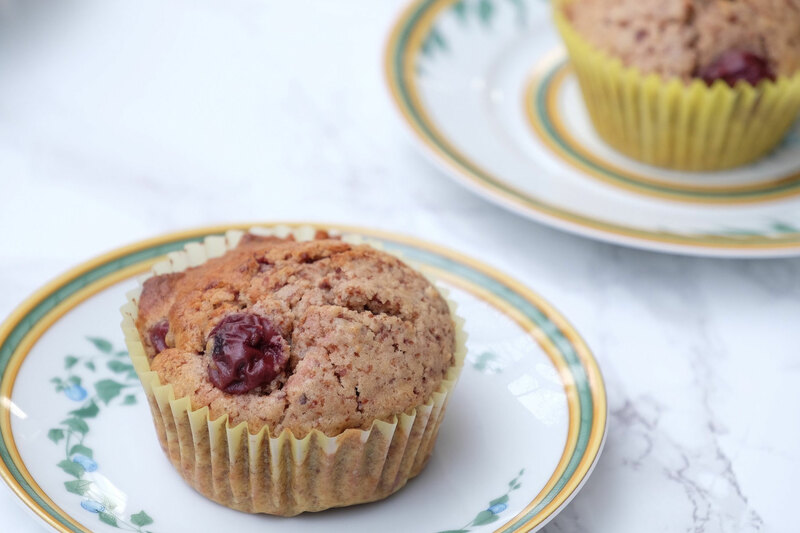 By adding the cherries (I used canned sour cherries) the muffins stay really moist for a long time and the fruity aroma goes so well with the nutty taste of the muffin. I think they look great as well! Of course you could replace the cherries with other fruit of your choice. I think raspberries would be great too! This is what I love about baking: You are the boss and you can do whatever you feel like. You can get really creative and the worst thing that can happen is that the result doesn't taste very good. 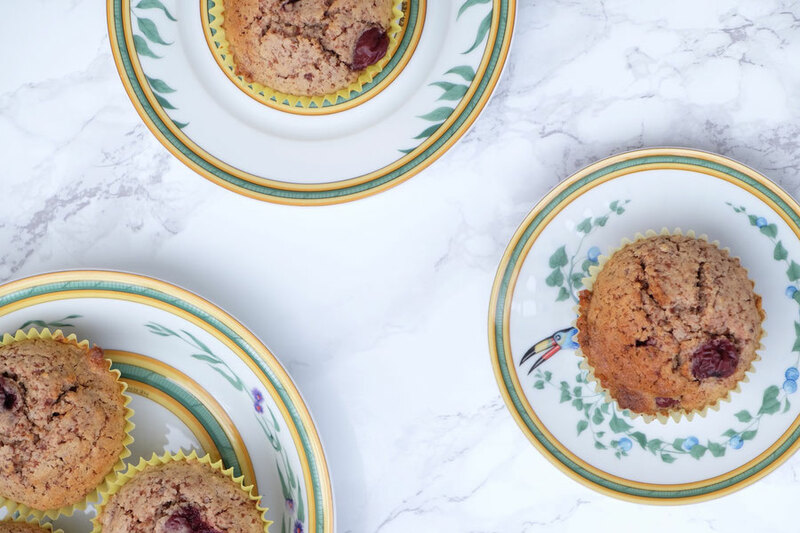 My friends and I definitely enjoyed the muffins and I'm sure I will use this recipe time and time again this year! Preheat the oven to 180°C and line a muffin tray with cupcake liners. Grind the hazelnuts and the chocolate in a food processor. Let the cherries drain in a sieve. Cream the butter with the sugar and the vanilla until light and creamy. Add the eggs one by one and incorporate well. Add the hazelnuts and the chocolate and whisk everything together. At this point the batter will be quite dry so now you add the milk. In a separate bowl, add the flour, the baking powder and the salt and whisk together. Add the dry ingredients to the wet and whisk until everything is incorporated. Do not overmix! Fold in the drained cherries. Fill the batter into the cupcake liners using a spoon or an ice cream scoop. Bake the muffins for about 20-25 minutes or until the edges are golden brown and a skewer inserted comes out clean.